So how have I been going 5 months later…actually…not too bad. Ok I have bad and good news. The bad news. I gained 3kgs. The good news. I have maintained a 8kg weight loss for over 3 months. I feel good about that. It all started at Christmas. Remember my ‘I will eat whatever I like and do the miles later?’ Turns out, you actually need to do the miles. I started falling back into the whole procrastinating thing. “oh yeah, I will get up tomorrow and do it.” Well tomorrow comes and I’d rather sit on my behind and catch up on the latest episode of the Blacklist. After about a week of this behaviour I started avoiding the scales and my blog. After about a month I was starting to feel heavier. A couple of my dresses felt a teeny bit tighter…and I started to panic. So back on the scales I hopped to see what the damage was. 91kgs!!!!!!!! NOOOOOOOOOOO Back in the 90’s. After a day of freak out. I decided that it just wasn’t good enough. I had recently booked tickets to see America with my cousin…and I couldn’t go over there looking like…this. So once more I have started getting back control of my eating, and my fitness. I definitely feel sloppier than before, and my tiny little muscles I had started to develop are no longer visible. This will not do. To help me learn more about myself, and to help keep myself focused, I have decided to take up meditation. I did it briefly about 7 years ago, and I really enjoyed my experiences. I found it very relaxing and refreshing. I will do a bit more research and see where it takes me. I hope by this time next week I will be able to say to you that I am under 90kgs. That would be nice. Happy New Year – 2016!!! I have exciting news to start the year. By Christmas I had lost 10.5kgs!! 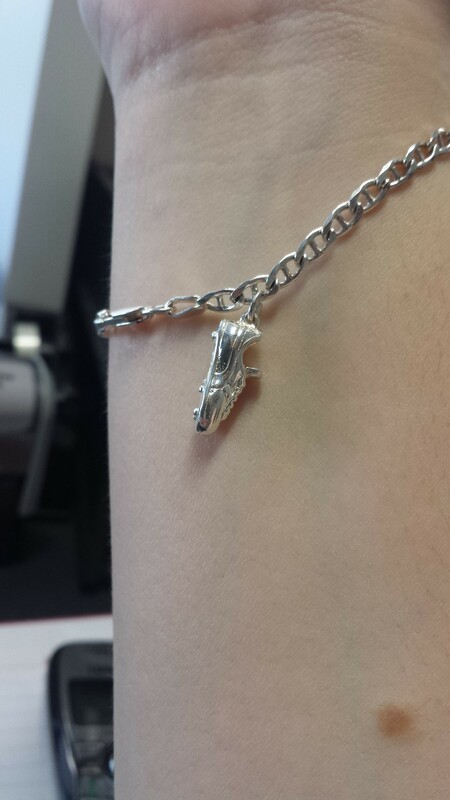 I have bought another charm for my bracelet. Its an angel, to represent the goal I achieved by Christmas. 10 Kgs down, and aiming for another 10kgs by my birthday in May. Lots of time…I should think. Over Christmas I put on a kilo, but it didn’t take long for me to shed it as I got back into my routine. Now again I have 10 kg weight loss. Isn’t it cute? I love my new charm and what it represents. I am sure you have made a stack of new year resolutions that you think you will not accomplish. Last year I was more inclined to agree with you. I thought losing 40kgs was going to be impossible, but I made the goal in the hope that it would magically happen. Well I can tell you, it did not magically happen. It has been gruelling hard work and retraining the way I think and feel about food. Lose 28kgs and keep it off. Save and Travel to America for Christmas! Hopefully I get to see snow for the first time ever!! I cant think of a better way to celebrate. For me, these are huge goals. The best way to accomplish big goals like this, is to break it down in to smaller goals, ones that are more easily achievable. 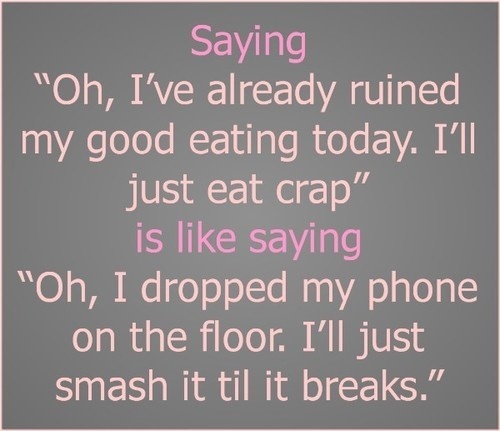 I have learnt this with losing weight. I aim to lose 5 kgs at a time. This way I am more motivated…and I get to reward myself with jewellery. 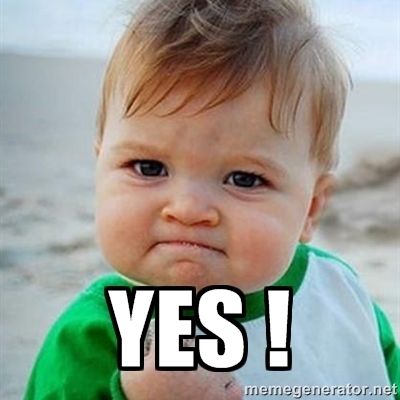 I cannot begin to tell you how good it feels to accomplish a goal even as small as 5kgs. Recently I have bought myself a couple of dumbbells and an exercise mat. I didnt spend more than $25. I have been watching Jilian Michaels 30 Day Shred DVD and doing the aerobic, strength and cardio exercises…at home…with the door shut. I am too embarrassed to go out and exercise at a gym where people can see me…and I cant be bothered spending the money to go. This is a great inexpensive way to do it. And its embarrassment free. The first day I tried. Jillian introduced a lady in the back doing the ‘low impact’ version of the exercises. The exercises looked simple enough, surely I could do them fully. Bad idea. I ached for 3 days afterwards and I had only done 6 mins and 24 seconds…I only just got past the warm up before I called it quits for the day. Don’t even talk to me about star jumps. Oh dear. How unfit am I? As the days went by, and my legs started to feel better, I decided to give it another shot…with the low impact exercises. I still ached the day after, but no where near as much as before. With each day it gets easier and easier. Hopefully I will be able to start extending my 15 minute work out soon. I have another couple of fitness DVD’s to go through. 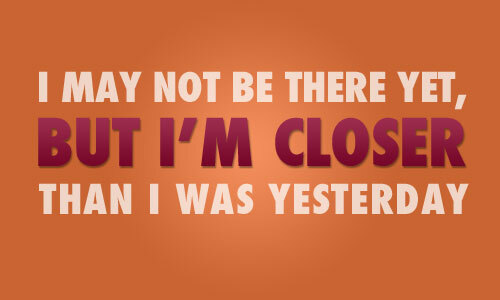 Aiming for 5 Kgs by mid March…although secretly hoping it wont take that long…it really shouldnt. Lets make the most of this upcoming year ahead. I have been back from my trip for 2 weeks now. It seems like I never left. At work in the last few weeks, I have been given a task that actually involves me leaving the office and walking in the city for about 2 hours, three times a week. I take this opportunity to walk as fast as possible. I need to burn as much as I can. Wouldn’t it be great to lose 1.4kgs by Christmas?!!! and bring my weight loss down to 10kgs!!! My best friend and cuz Benny said…YOU CAN DO IT!!! and… I believed him. Over these last few days, I have been to the movies, and feasted on popcorn and maltesers. I can honestly say, try as I might losing weight, I will never deprive myself of the amazing salty chocolateyness of this amazing snack. I do not ever recommend depriving yourself of the things you love. This is one of my tips in staying motivated. Eat the things you love. I find that as long as you keep yourself active then you do not have too much to worry about. 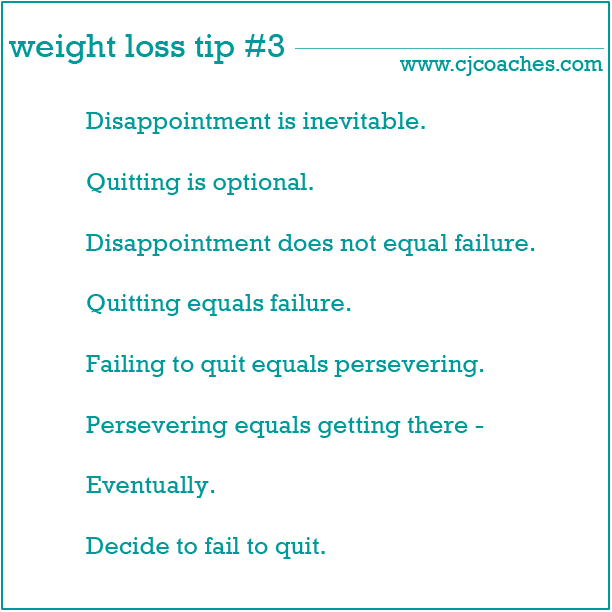 I have noticed if you tell people you are trying to lose weight, they usually try to help you out as much as possible. Unfortunately this could mean that when you decide to eat something not that healthy that you love, you get a disapproving look or worse…a lecture. Guilt is the absolute worst thing ever. How can you lose weight, and keep it off successfully if you are being told over and over again that you cannot have this food? I started to resent weight loss until I reminded myself that I can have this food, but in small portions. I try to explain to this person, that its not the end of the world if I choose to have a few squares of chocolate, or an extra serving of custard. 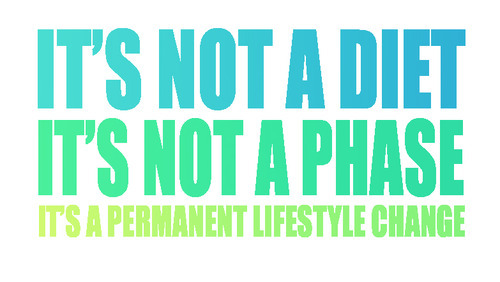 Its a lifestyle change, not a temporary diet. I am excited to announce that I only have 0.3kgs to lose until I hit the 10kg weight loss mark. So I have lost 9.7kgs!! To all my friends and family I am sorry for the continued early morning weight loss dance, and for talking endlessly about my weight loss…actually I am not that sorry at all. I have 2 days to lose 0.3kgs before Christmas. I really think I can do it. It doesnt seem that far fetch’d at all. And so to Benny…thank you for your words of encouragement and for believing in me. Do you know what this means? Another charm on my bracelet!!! 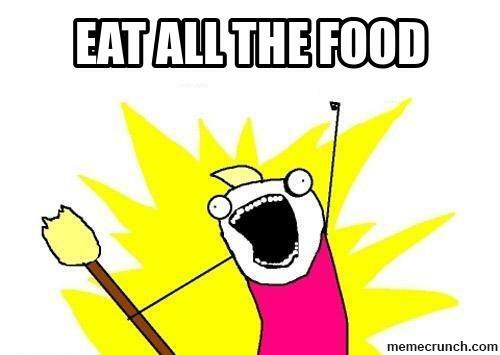 Over the next week I will be bracing myself for the Christmas feast. Usually the season of giving means I give to my thighs, bum, and hips. But not this Christmas!! Small portions, healthy choices, a ton of gravy…and a lil pav…And a daily walk around the block. For those of you concerned about Christmas weight gain I found the following tips. Vegetables = Have as many as you like. Potatoes = One regular-sized spud. If you’re having mashed, follow the guide for pasta. Please don’t forget to stay active. A 30-45 minute walk each day will help to burn that extra serving of mash you snuck in. Also, here are a list of the kinds of healthy foods you can serve at your Christmas Feast. I cant believe it has been over a month since I have posted anything!! What a crazy month it has been too. So for the first 2 weeks after my last post I tried like crazy to drop another few kilos so I could hit my 10kg mark. 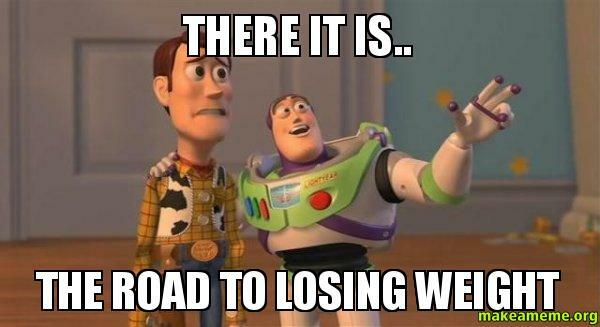 Unfortunately it seemed like I hit a plateau…until I gained 2 kgs!!! What was I doing so wrong?? I still don’t know. 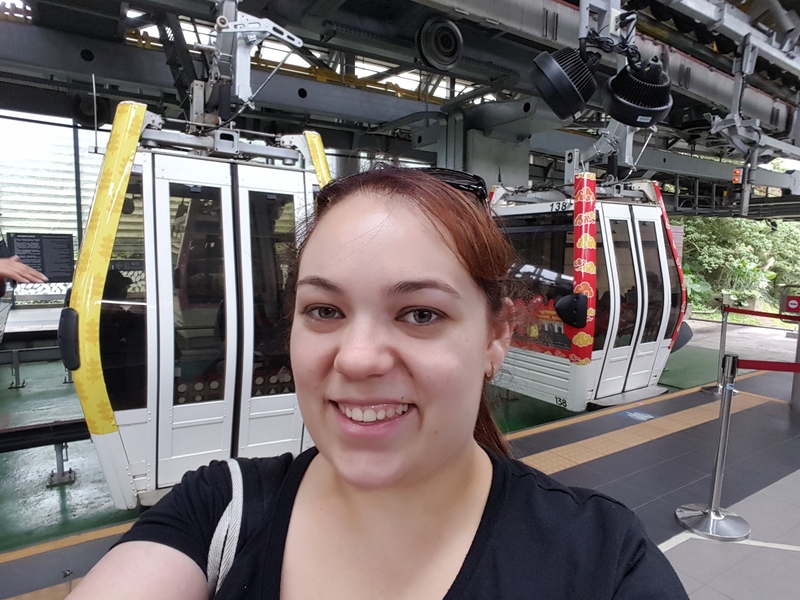 In my hectic weeks leading up to my first overseas trip, I can tell you I was running around like a headless chook trying to make last minute travel arrangements. Finally I flew over to Taiwan and saw my family…all 4 of them…I cant even begin to tell you how much I love these people. One of the first places they took me was the Shilin Night Markets. This is the largest night market in Taiwan. Unfortunately I never got to take any pictures as my phone was in our apartment…charging…having taken soooo many photos previously that day. One of the dishes recommended to me was ‘stinky tofu’ I didnt get an actual photo of it, but google gave me a picture which was exactly what I ate. So may I present Stinky Tofu…It is called stinky tofu for a reason. I was told that once you got past the smell, it was really good to eat. I don’t think I could ever get past the smell. It was well and truly stinky. 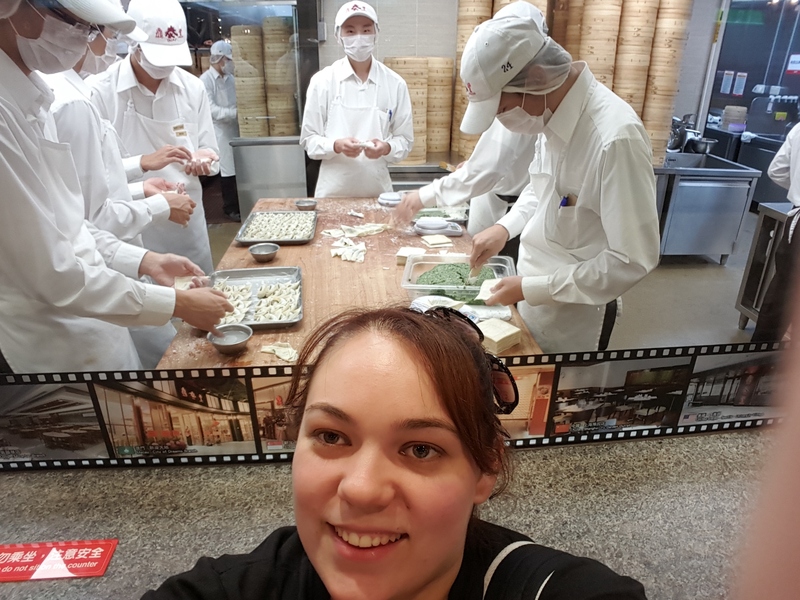 I went to Taiwan with the attitude of not worrying about what I ate. Try Everything was my motto. I would go, have a good time, and continue with my regime when I got back. So I did. I ate up a storm!!! Oodles and oodles of noodles, hot pot, and my favourite, Dim Sum. 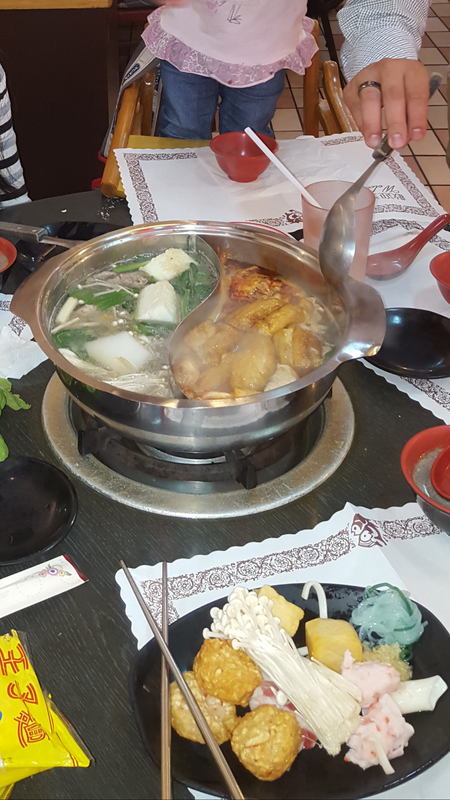 Hot Pot is one of my most favourite meals to have. So full of flavour! They had shelves and shelves of vegetables, meats, seafood and herbs and spices to cook with. It was quite the sight to behold. I could have spent all night chatting and eating, but alas, the restaurant had to close. LOOK AT ALL THE NOODLES!!! You may think I am in no way encouraging healthy eating right now…and I totally agree with you. This stuff was sooo YUMMY So we had 2 servings of noodles, special fried rice, oyster pancake, fish balls, and soup. I feel that in Taiwan, I ate like a royal. Finally on my last night, I had Dim Sum, made by chefs at the base of Taipei 101, one of the tallest buildings in the world. I actually tapped on the window so they could snap a shot with me…but they seemed too busy…except that one guy…right at the back. So how surprised was I when I got home and the first thing Mum asked me…Have you lost MORE weight??!!!! Well I hurried for the bathroom scales, and to my surprise, I had actually lost 3kgs!!!!!! WHAAAAAAT???!!!!! How did this happen??!!!!! I ate soooo much!!! Well it seemed that while I did eat quite a bit, I was also on the move quite a bit. I was up and walking every day for a few hours. No Wonder. I was enjoying myself so much that I didnt even notice it. I guess that is the secret. Love the exercise that you choose. You need to enjoy it so much that it becomes a pleasure, it becomes an exciting part of your week. Everybody. I have lost 8.6kgs. I will never look back. My secret, keep yourself busy as much as you can. Go out, walk around shopping for a few hours. Do something active that you enjoy. 1.4Kgs til my next charm on my bracelet. I want to keep going. I feel ultra excited about my result. This week’s weigh in: I have lost another 100g. So total weight loss 7.9 kilos…I can almost smell 8kgs. Its soooo close. This is the most weight I have ever lost…intentionally. Week 6: No low-fat, lite or non-fat food products – Do not eat any food products that are labeled as’low-fat,’ ‘lite’ ‘light,’ ‘reduced fat’ or ‘non-fat’. EASY!!! I didnt have to think about this. I naturally choose full fat everything, simply because my taste buds demand it. To have something lite, or non-fat means replacing all the natural fat, with chemicals. Id rather have natural any day!! I mean seriously, Low fat milk or full cream? Which would you choose. Low fat just tastes like watered down milk. NASTY! YIKES!! This is a toughy. I always try my absolute best to have whole grains wherever possible. But I usually make an allowance for rice paper rolls, and sushi. I have found an alternative to rice in sushi, quinoa!! It is actually a really great substitute. Rice paper rolls are going to be my issue. For this exercise, I think I will continue to make an allowance, But I will definitely be more rigid with what I put in the toaster, and wrap my burritos in. Have you ever seen how much Whole grain bread costs?!!!!! The price can rocket up to $5-6 a loaf!!! A simple white bread loaf, is under a dollar. Eating healthy can certainly be far more expensive. I wonder if it is cheaper to make my own? There is a bread maker in the pantry…hmmmm…If you have any recipes for wholegrain bread or anything that is 100% whole grain, please bust them out and let me know. I am super keen to give it a try. After Googling, I found this recipe that I will give a go, and I will let you know how it all pans out. 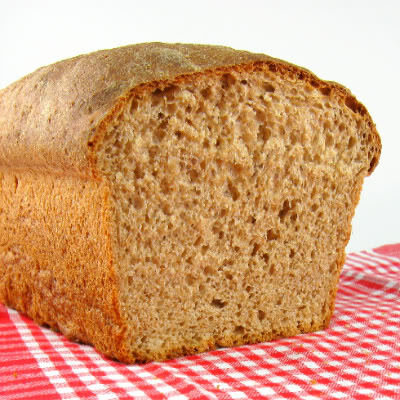 It seems that wholegrain bread is never as fluffy as the normal white bread we see in the supermarkets. So I will be praying this recipe is as fluffy as it says it is. Create a meal plan, full of lean and nutritious dinners. Grab a plate smaller than usual and fill it up. This will give the illusion that you are eating more, when you are actually eating less. Also, do not eat after 8pm. If you feel you have to, then drink some water. This really helps to curve the cravings. While online browsing I found the following tips. They grabbed me immediately and I could certainly relate. 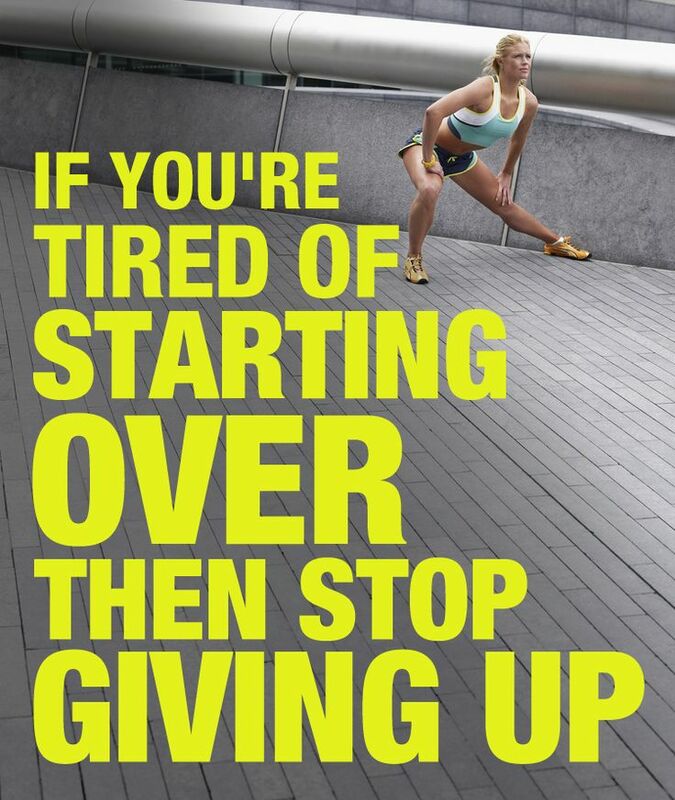 If you think you want to quit because it’s too hard, having to start again is worse. In other news…less than 3 weeks til Taiwan! To be precise…17 DAYS! What a wonderful weekend!! I attended the wedding of a very good friend of mine. It was lovely! It was a chinese wedding, full of colour and culture, and it was truly a wonderful wedding to be a part of. As far as watching what I ate…I didnt have to! They had sushi!!!!! I have more excellent news! I have finally made Blueberry and Spelt Pancakes!! I had to add more milk to the recipe as I found the mix a bit thick. They turned out great. All ingredients out and ready to go! using a bit of olive oil instead of butter on the pan. Looking nice and golden. YUMMY!!! I replaced the icing sugar with a drizzle of honey instead. It was absolutely devine. A real keeper recipe. I made another batch for breakfast in the morning. With the fruit and a little honey, it tasted so good. I did actually find some amaranth too. But still deciding on a recipe. 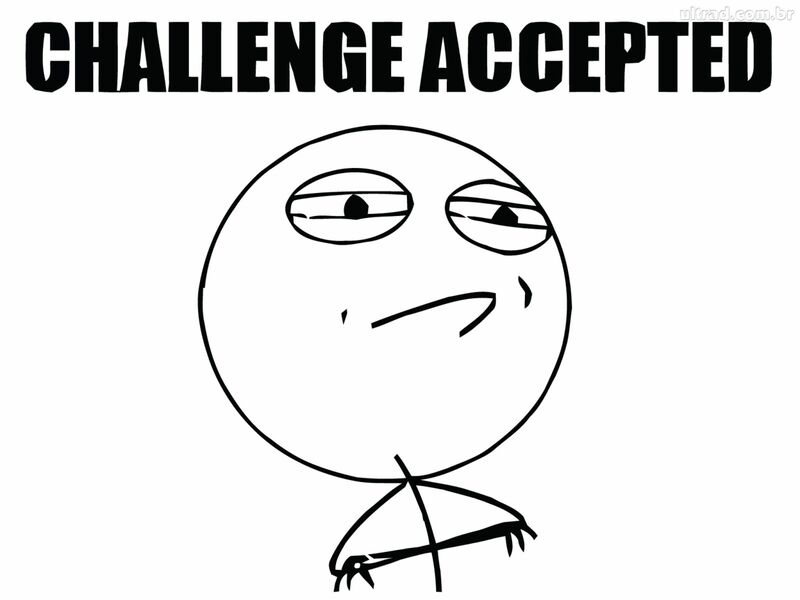 But I feel confident enough to move on to the next challenge. This I think will be a lot easier than the last challenge. I don’t usually buy anything labelled non-fat just on principal. For instance, Skim milk?…NO THANK YOU…give me full cream any day. I have lost another 1.2kg this week. In total I have now lost 7.8 kgs!! (17lbs) So I am back with my usual work out, and routine. I love that I was able to get back on the horse and not give up. 6:40-7:00am, Breakfast – Oat Porridge with blueberries, honey, and flaked almonds. Sometimes I will choose a different fruit. Favourites include bananas, strawberries, and mixed berries. I will also usually have a glass of water or almond milk with it. 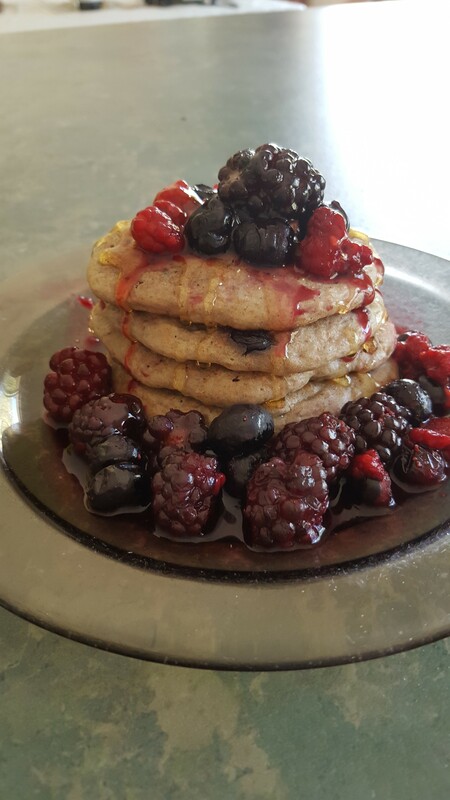 Of course I will now be adding spelt pancakes to my weekly ritual. 10:00am, Snack – Fruit (usually an apple with cinnamon) or Dried cranberries and nuts (only small serving). Go Natural fruit bar, or a handful of Late July organic chips. Tuna tub. On very rare occasions I will have a Freddo…because I can. 12pm – 1pm, Lunch – Vietnamese Fresh Rolls, Chicken and salad Sandwich, Sushi, Or occasionally, I may have a cheese toasty. Usually tho, it will be left over dinners. Snack – See above. Although I will never have the same thing twice. 6pm – 7pm, – Dinner – Protein, with 2 serves of veg. Usually. Other times, if others are cooking, I may get fried rice, pasta, apricot chicken etc. In these instances, I like to have a small serving and go for a walk about 30 mins. One of my absolute favourite things ever is grilled salmon. I can never get enough. Every day I will drink about 1.5-2L of water. Because I have been doing it for so long, if I don’t get enough, I will actually crave it. I tried to have a Pepsi Max the other day, and I couldn’t stomach it. It didn’t feel right at all. Everyone…I am changing!! Its been so exciting to see my weight drop week after week. Now that I am officially back on track, the weight should drop off a bit quicker. By the way…24 DAYS UNTIL TAIWAN!!! Im so super excited. It still feels like it’s way in the distance. 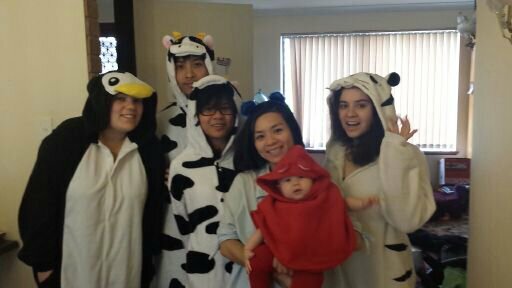 I can wait to see my little Asian family. 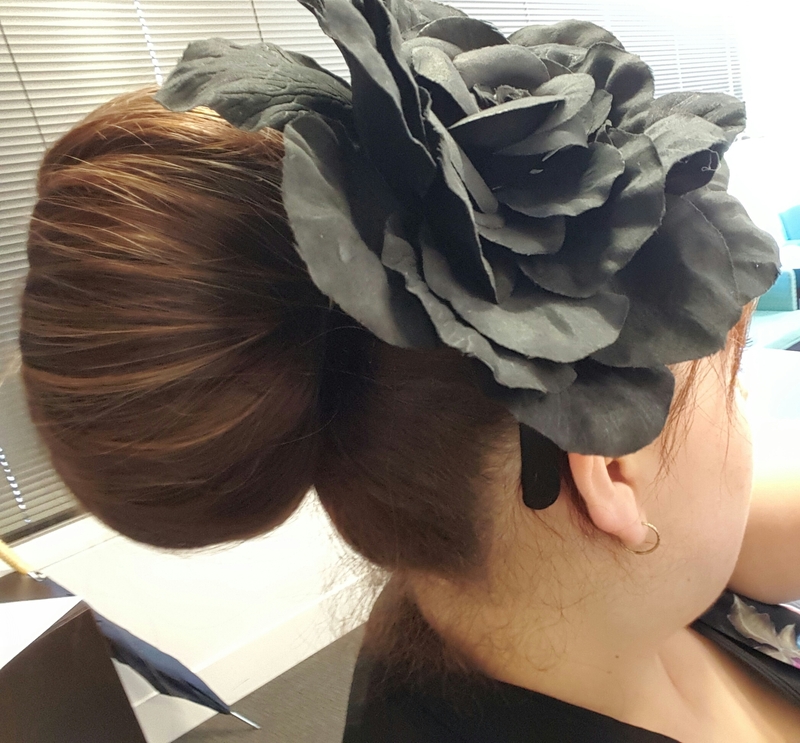 Happy Melbourne Cup Day Australians! Its been over a week! I thought I had more time!!! But once again I have failed to find the Amaranth and Spelt. this last fortnight has seen me search high and low in every supermarket ever!! The only thing I have found is amaranth protein crackers…not sure if this counts. Looking online, I have found spelt pasta, breads, and flour!! WOOHOOO I love pasta!! Why cant they provide these in normal stores. However I will be definitely looking at purchasing the flour and pasta to try. Yay for online shopping!! 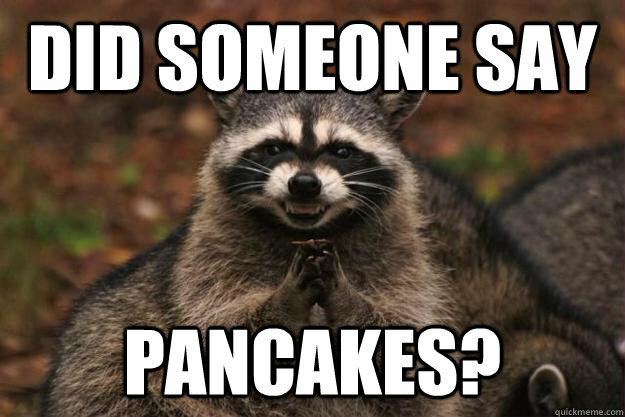 Also I found a recipe for spelt pancakes. OMGoodness, they look amazing!!! Another week on this challenge until I can move on I think. But I promise that by next Monday I will have made these babies and I will have some pics to prove it…I may have to give those amaranth crackers a try. One thing I have noticed is that I am more prone to binging when I’m bored. There is a very fine line between boredom and hunger. Especially on Sunday night. You don’t want a late night because you have work in the morning, so you spend the time traipsing between the fridge and the pantry. Unfortunately the fridge isn’t like Facebook where every time you log in, there is something new to look at. So I am finding that I am needing something to do during these times. Keeping busy or occupied with something tends to do the trick. I’m sure most of you know about the adult colouring books which are hitting the market. Its probably just a phase but let me tell you, they work! It helps me to just chill for a while. For a moment I am brought back to my days in school when choosing which colour pencil to use was my biggest challenge. It definitely helps me to avoid food as way of coping with boredom and life problems. Yes I totally recommend it. You can find them at your local newsagent or in major supermarkets. 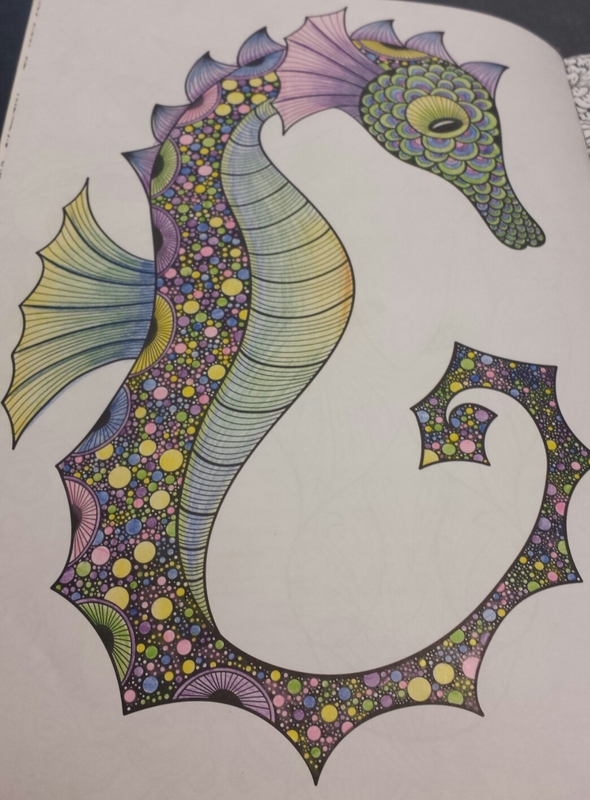 This was a seahorse I did. I love it!!!! So find your inner child and get on the colouring bandwagon. This week will also see me return to the gym. 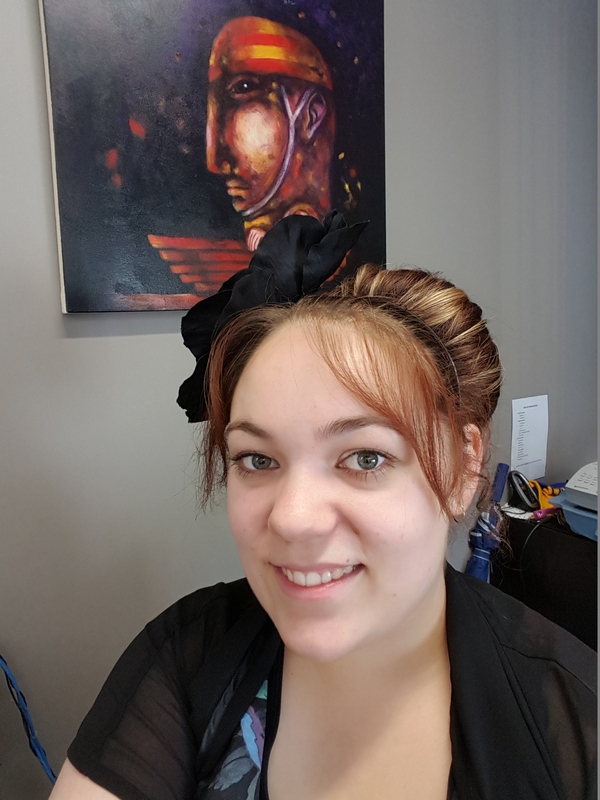 It has been a few weeks due to some unforseen circumstances, and I would have to say this has greatly impacted on the success of my weight loss. 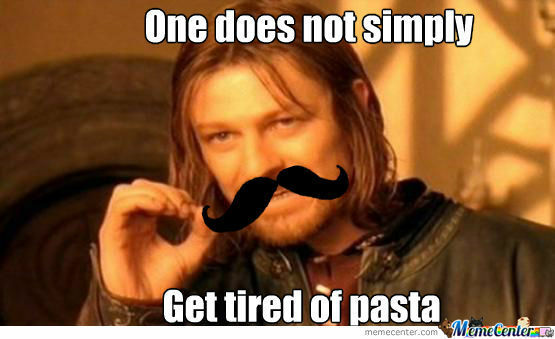 One does not simply lose weight and not do exercise. By gradually integrating it into my routine, I hope it will become a permanent lifestyle change. I’m actually a little excited about it. This last week started to go downhill on Tuesday. Mum told me she would like to have dinner with the family and so we all trundled down to Hungry Jacks. BAD IDEA. I admit I was hesitant to order anything, but settled on a Whopper Burger. ‘Its just one whopper’ said the devil on the right hand shoulder. ‘You dont need it’ said the angel on the left. The angel didn’t put up enough of a fight and I found myself with the worst nausea the next day. I spent that day in so much pain, I vow and declare I will never again have another whopper from Hungry Jacks. I must not used to the processed foods. 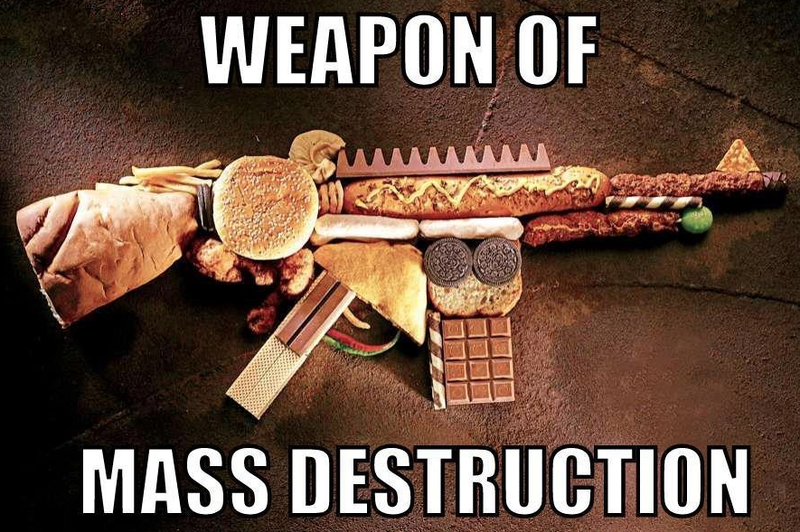 I seriously just spent all of the last week trying to eliminate it from my diet. OH DEAR MANDA. Wednesday lunch at work. I wondered over to the local IGA Supermarket and decided to buy a pack of Chocolate Freddo Frogs with the intent to snack on one every so often. I thought it would be okay to have one a day or so. So I came back to the office where I work with the best of intentions, and plopped the bag of Freddos on my desk. A shout out to my colleague Emma who saw the bag of Freddos and whipped them away faster than you can say ‘I’m craving that.’ She told me ‘NO! You have worked too hard to get where you are.’ She then proceeded to hide the bag of Freddos somewhere in the staff room kitchen. I still haven’t found them. I asked her WHYYYYYY and she told me ‘I’m helping you get another charm on your bracelet.” I really am very thankful for her support. Unfortunately her efforts were in vain. Even though she has still successfully hidden the freddos, it did not stop me making some pretty bad choices over the course of the week. Saturday came and I spent the morning getting my laptop fixed…and having lunch at the ‘All-you-can-eat Sizzler restaurant. So the whole point of this restaurant is the amazing variety of food and I can eat as much as I want. I decided to keep with smaller portions…which meant a little bit of this, and a little bit of that…and a little bit of EVERYTHING!!!! There was no control. I did however manage to keep off the Pepsi and have orange juice instead. Of course that night I indulged in some pizza as well. 4 slices, not to mention the garlic bread and glass of Sprite. Can you believe I still had room after that massive lunch? 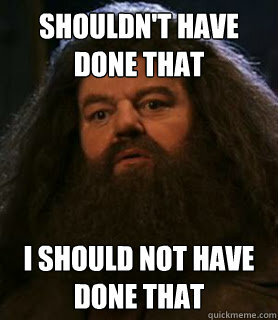 I confessed to Emma what I had done on the weekend and she was so horrified. So I began my day with my ritual Monday weigh in. And I have gained back a whole Kilo. (2.2 lbs) No surprises there (so much for that 700g). 2 steps forward, 1 step back. I will have to try double hard this week to get back to where I was. This definitely means upping the treadmill times. Fingers crossed I can get back to the smaller me I was last week. Today I am back on the clean eating bandwagon. I am back to drinking water all day, breakfasts, veggie lunches, and small protein dinners. I guess everyone has those days…or weeks where they splurge. As long as you get back on the horse. To everyone reading this who is trying to make a change. It’s okay. It will probably happen to you too. 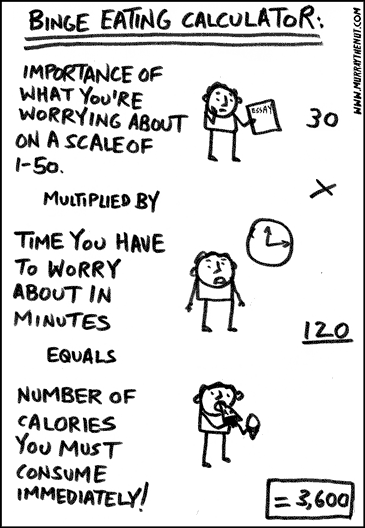 Sure its disappointing to get back on the scales and see a kg added, but you can’t give in. You deserve this. You deserve to feel amazing. Get back to it! I never got a chance to complete my weight loss challenge this week. So I will give it another go. Anyone have any tips of how to find Amaranth and Spelt flour?? I will definitely keep an eye out as I walk through the health food aisles in the supermarkets. I am hoping that this week will be a heck of a lot better than this last week. Well I can honestly say I have had a great week! And my new total weight loss….6.6Kgs (14.5 pounds). This means only 400g more to reach 7kgs!!! Just a lil more. So on the weekend, I bought my first charm representing the first 5 kgs that I lost. At this rate I will be looking to get another charm relatively soon. I thought it looked like a running shoe, but my lovely cousin corrected me and told me it was a football boot…its a sneaker because I said so. I am so proud of my achievement, I have decided to wear my bracelet all the time as a constant reminder of the changes I am making. 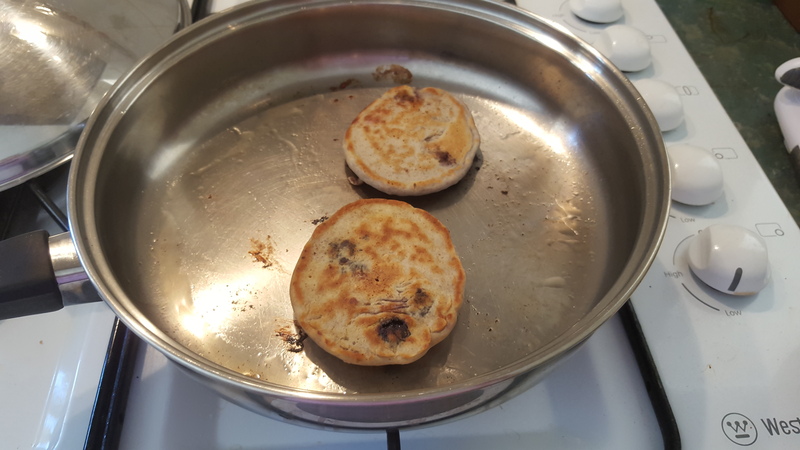 Last week I found a great recipe idea. Its worth saying that I am totally in love with sushi. I love every aspect of it. I still eat sushi and I love to make my own, but I have now found a healthier alternative. 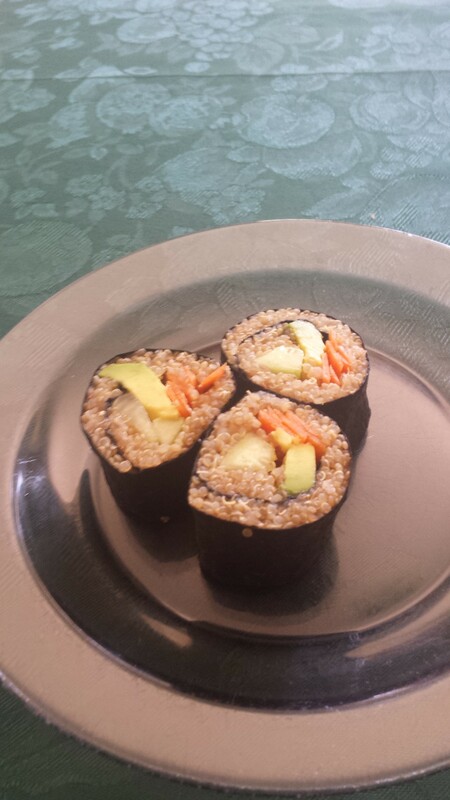 Quinoa Sushi!!!! The recipe uses Quinoa instead of rice. It turned out pretty good. The only suggestion I would make, is swap the vegetable stock for water when you boil the quinoa. I found the sushi a little on the salty side. PS. the end pieces of the sushi roll almost never look nice. We filled the sushi with carrot, cucumber and avocado. But you can include tuna, salmon, or chicken as well. It’s almost the same as regular sushi. 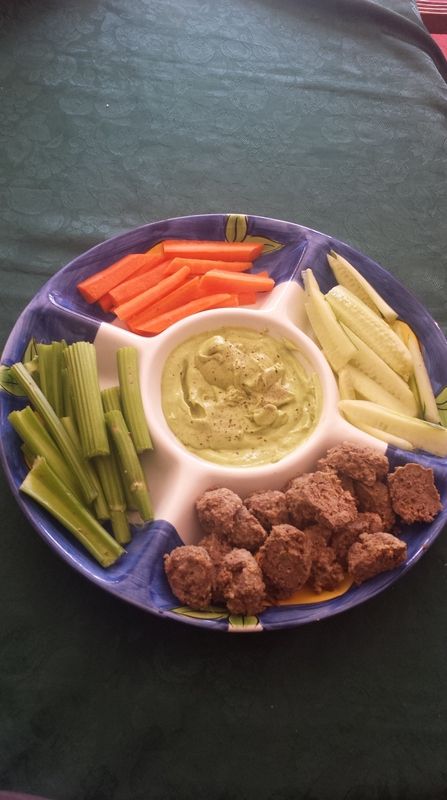 As part of our healthy lunch, we also had veggie sticks with a home made avocado dip. So just chopped up carrots, cucumber, and celery. 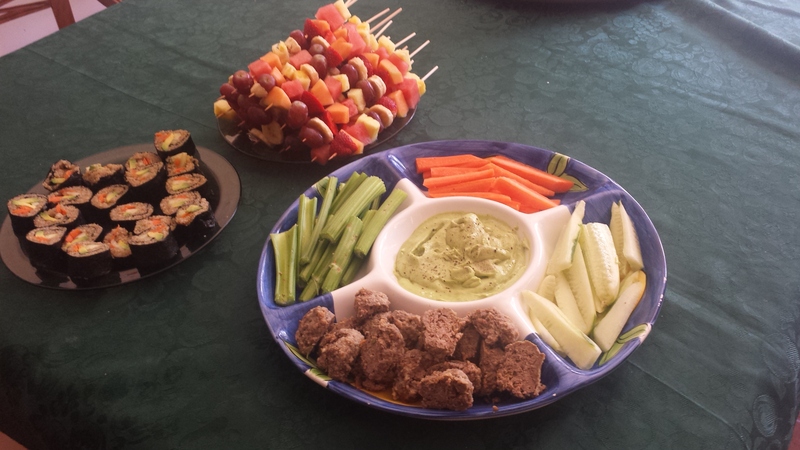 Mum had also made some rissoles/meatballs so we had those as well which surprisingly, went really well with the dip. The dip I kinda just threw together on the spot. It was a bit of a gamble, but it worked out pretty good. So it was 1 and 1/2 avocado, about 2-3 tablespoons of greek yoghurt. I didnt want to put in too much, as it may have taken away from the avocado flavour. Also a pinch of cayenne pepper and salt to taste. Blend it all together til thick and creamy. 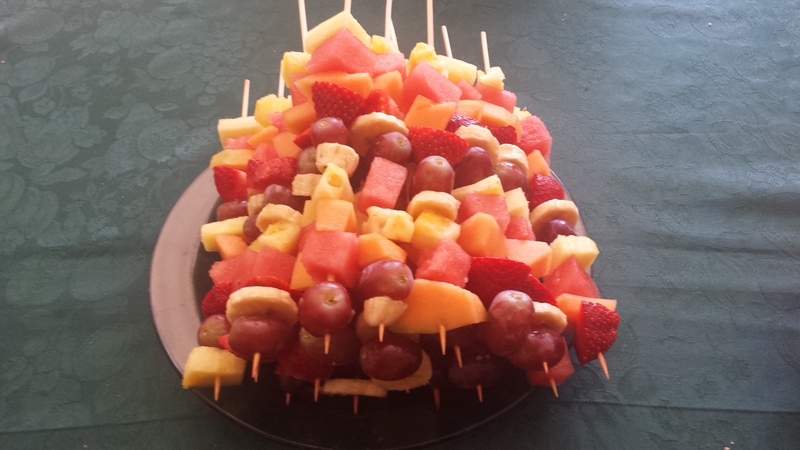 We also put together a few fruits to make fruit skewers. Pineapple, grapes, banana, rock melon and strawberries. If I could do it again, I would have added kiwi fruit. How did I forget kiwi fruit??? So we had a great healthy lunch, and it was a nice way to share my healthy eating with the family. One day I will find a camera with a high enough definition. Week 4: No fast food or any foods that have been deep-fried in oil. No problems here. No problems at all. This just goes to show how far I have come. Week 5: Try two new whole foods: Try a minimum of two new whole foods that you’ve never had before. After Googling a list of wholefoods, I have settled upon Spelt, and Amaranth. I have never heard of Amaranth before, so this is going to be interesting. It seems to be some kind of grain. This is a recipe for Amaranth that I have found, I am looking forward to using it as an alternative to my usual blueberry and almond oatmeal breakfast. Spelt I have heard of before but never actually used. 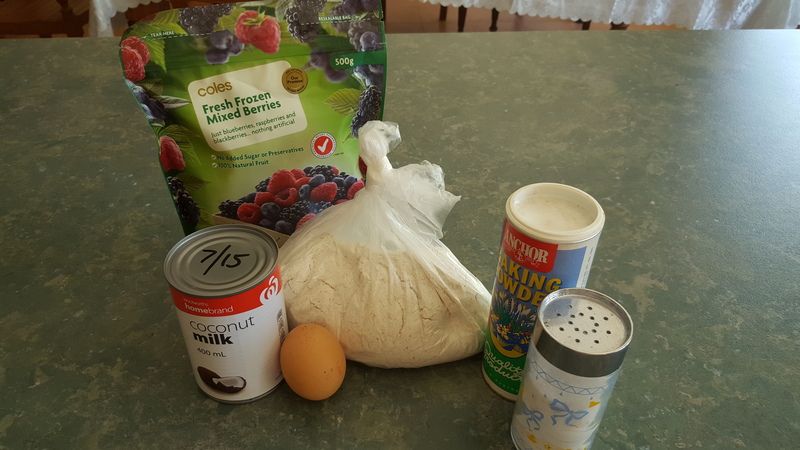 I have found Spelt flour and a recipe for spelt flour pancakes. I am definitely looking forward to a bit honey or maple drizzled over those. Fingers crossed it becomes a staple in my new healthy lifestyle. This week will make it 2 months since I have started my weight loss. …6.6kgs in 2 months…It is quite slow. But even at this rate, I will make a considerable dent in my weight loss in the next 6 months. I am super stoked. In the next few weeks I will be considering a gym membership. I definitely want to slowly incorporate more vigorous exercise into my day. To all my family, friends and readers, thank you for your ongoing support. Its hard slog, but its well worth it. I am dying to see how much I will lose by next week. Each week is a smaller me!! FINALLY!!! Plateau over! 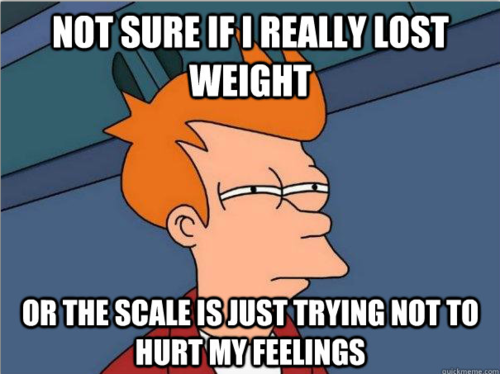 I feel like its taken FOREVER just to lose 5kgs!! I started this blog on 14 August. Its been nearly 2 months. But all the hard work is finally paying off. You know what this means?? REWARD TIME…yes I’m using capitals because its completing the first short term goal…and its a BIG DEAL…for me. So I began thinking about the different ways I could reward my success. The one thing I definitely do not want to do, is reward myself with food. This is one of the worst things ever! When I was growing up, being good at something or achieving, meant a trip to Sizzler, Tim Tams, a McDonalds ice cream. While at the time our family enjoyed every mouthful, it was teaching that food is a reward. Don’t get me wrong. 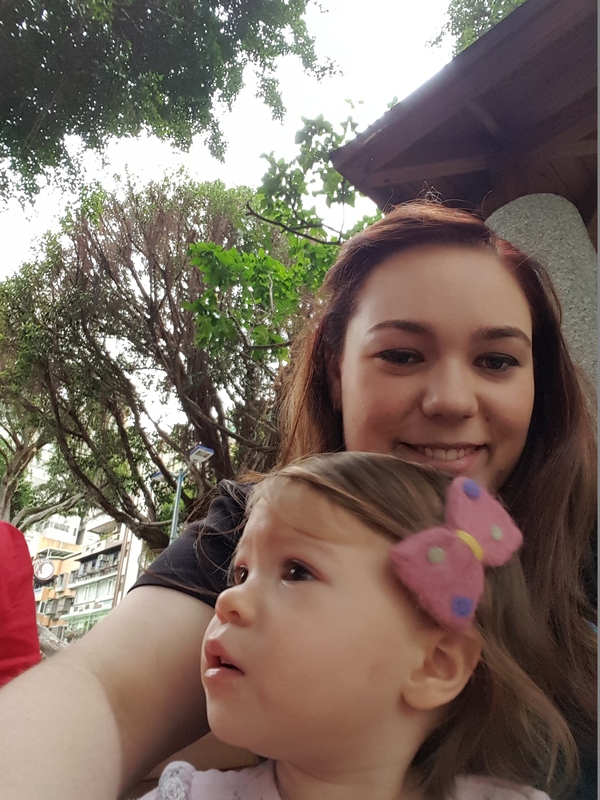 I loved spending time with the family and I dont see anything wrong with doing it occasionally. But families should focus more upon having fun together doing activities going to the pool, trips to the beach, bowling, flying a kite, kicking a ball at the park, watching a movie. Food should be the last thing to consider. If you do decide upon food, it should be healthy and clean. When something went wrong in life, a failed relationship, missed job opportunity, it was easy for me to eat because it felt good. It was a reward for the effort I put in, or a reward for the sacrifice I had made for trying to accomplish something. I would stroll down the shopping aisle and grab whatever was chocolate, fried, or sugary. I would have the best time bringing home all my spoils, sitting in front of my favourite TV show, and binging on the best crap money could buy. I would do this for a few weeks. I didn’t regret it until a few months later I would be trying to button my jeans and they wouldn’t fit. I didn’t have enough cash to buy more, because I had spent all my savings on junk food…then hits the depression. Of course now you are overweight, have low self-esteem, cooking good food becomes hard work, you don’t ever go on a date, you start to feel uncomfortable in public, you become a social recluse…GAME OVER YOU LOSE. At least that’s how it felt. When I first completed this goal, I Googled all the different rewards people use for weight loss. People said things like spa day, a nice hair cut, new kitchen appliance, etc…these things can be quite expensive. I have a lot of weight to lose, and I dont want to be spending $50+ dollars every time I lose 5kgs. After much searching I found nothing still! And then the other day, I happened to be speaking with my mum, and she suggested a fairly inexpensive way to acknowledge every 5kg goal. A charm bracelet. I have many silver bracelets and one of them is perfect to use!! Charms are pretty cheap too, I have found them from $5. So this week I will have to go out to some jewellers, and find my first charm, I’ve earned it. I think I will wear this bracelet constantly as a reminder of the hard work I am doing to achieve my goal. While this week has been full of accomplishment, lets move onto the challenges. Week 3: Meat – All meat consumed this week will be locally raised (within 100-miles of your hometown). Meat consumption will also be limited to 3 – 4 servings this week, and when it is eaten meat will not be presented as the “focal point” of the meal. Instead meat will be treated as a side item or simply used to help flavor a dish. This was probably the easiest challenge so far. I am not much of a big meat eater, and I find myself eating a lot of soups, and veggies. However I have been eating a bit when it comes to spaghetti and chicken. With spaghetti, I usually have a small bowl and fill the rest up with Mum’s homemade pasta sauce recipe. I know what your thinking…PASTA?!!! you eat PASTA?!! Yes, Yes I do. Not often, but I do. I LOVE pasta in every shape and form, so to come off of processed pasta is hard work. Fortunately I can get the wholemeal pasta. Which isnt the same but its a pretty good substitute. Certain members of my family refuse to eat wholemeal pasta so I compromise and get the high fibre pasta instead. Of course I only eat a small bowl. With chicken, beef and the rest, I usually have these for lunch in a sandwich, salad, curry or stir fry. I love having tons of veggies in the mix so that the meat isn’t the ‘focal point’ of the meal. Beef brawn is sooo yummy. I love to have this in a sandwich or sometimes as part of a snack. A year ago I would have thought I was nuts. Look how far I’ve come in almost 2 months. Very slow weight loss, but I’m glad I’m taking the time to learn new habits that will last me the rest of my life. bubbleomanda on Mason Jar Salads??!!!!! Colin on Mason Jar Salads??!!!! !